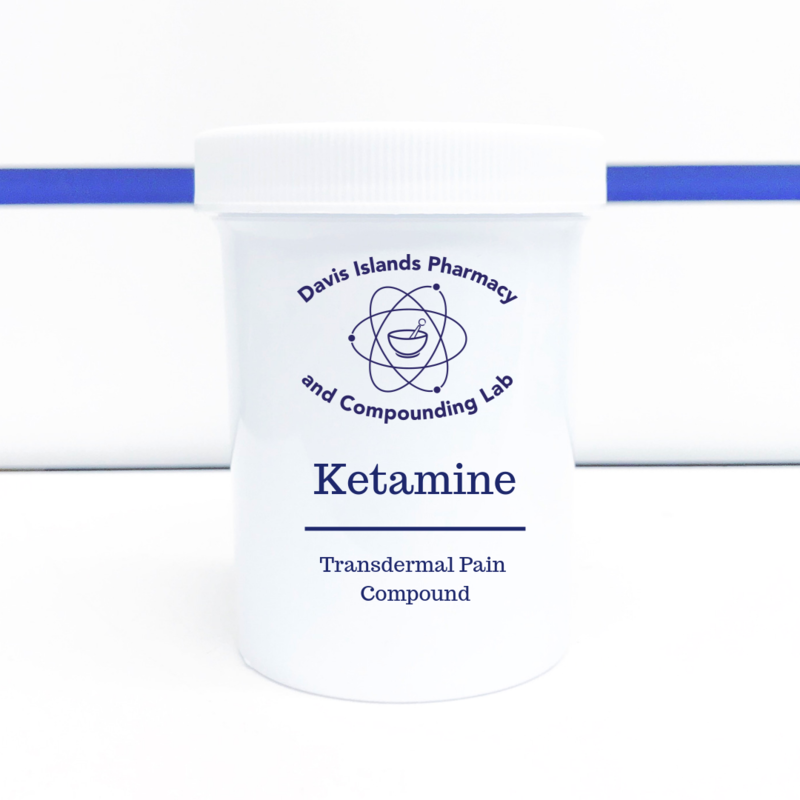 Davis Islands Pharmacy and Compounding Lab offers a variety of Neuropathic and inflammatory pain relieving products. Both NSAID and NSAID-free compounds are available. Everyone’s experience with pain is unique, so do don’t believe in a one-size-fits all solution to pain management. We work with prescribers to compound the right mix of ingredients alongside an appropriate base to provide optimal pain relief to those in need. What types of pain relieving creams are available? 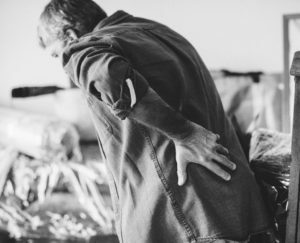 Neuropathic pain is a complex, chronic pain that is usually accompanied by tissue damage. The nerves themselves may be dysfunctional, impaired, or injured causing these fibers to send incorrect pain signals to pain centers in your body. Common causes of neuropathic pain may be due to chronic alcohol consumption, autoimmune responses, nutritional deficiencies, tumors, numerous toxins, chemotherapy, diabetes, shingles, HIV, multiple sclerosis, and metabolic disorders. Symptoms are related to the type of affected nerve and may be seen over a period of days, weeks, or years and can include tingling, numbness, shooting, or burning pain. Inflammatory pain occurs due to insult to tissues at the cellular level. This pain may be caused by wounds, burns, extreme cold, infections, fractures, arthritis and autoimmune diseases on the skin surface. Inflammatory pain that you feel is a response to chemical molecules and inflammatory mediators which signal for additional help in the troubled area. The increased amount of inflammatory mediators can cause sensitization to touch and movement and pain can develop. Why have I been prescribed a topical pain-relieving product? You may have been experiencing neuropathic or inflammatory pain associated with nerve damage or increased inflammatory mediators. A topically applied pain relieving cream can help relieve these symptoms while limiting the amount of systemic absorption of these products into your bloodstream. How should I use these products? 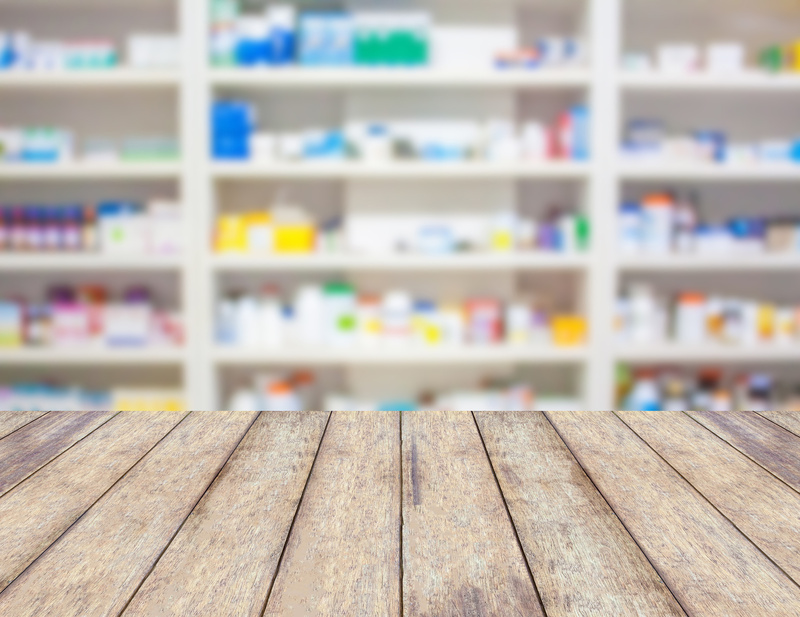 Your prescriber may have special instructions as to how they want you to use these products. It is important that you follow their directions. Apply cream to affected area and massage in well. While the risk of absorbing NSAIDs (non-steroidal anti-inflammatory drugs) from this topical formulation into your bloodstream is low, you may experience some gastrointestinal upset. 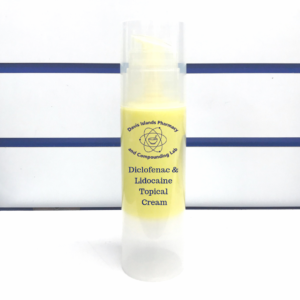 Some other common side effects include dry skin, itching, peeling, swelling, or tingling at site of application. If severe skin reaction develops, stop applications and notify your prescriber at once. What should I do is I miss a dose? Apply the missed dose as soon as you remember. Skip the missed dose if it is almost time for your next scheduled dose. Do not apply extra medicine to make up the missed dose. How should I store these products? Store these medications at room temperature in a cool, dry place out of reach of children and away from sunlight. Do not freeze. Who should not be using this cream? NSAID containing products can cause life-threatening heart or circulation problems such as heart attack or stroke, especially if used over a long period of time. Patients with increased risk of cardiovascular related events and/or stroke should consult their physician before use. Anemia may be exacerbated with the use of any NSAID. Do not use NSAID containing products if you have ever had asthma or a severe allergic reaction caused by aspirin or other NSAIDs. Do not use just before or after having heart bypass surgery. These medications may be harmful to an unborn baby. If you are pregnant or become pregnant ask your physician if they are safe for you to use. Some topical products can pass into breast milk and may harm your nursing baby. You should not breast-feed while using topical pain relieving medications without consulting your physician first. What should I avoid while using topical pain relieving products? Do not use cosmetics, sunscreen, lotions, insect repellant, or other medicated skin products on the same area you treat with pain relieving creams. Avoid getting these medications in your mouth, nose, or eyes. If this does happen, rinse with water and contact a Poison Control Center (1-800-222-1222) if adverse reactions persist. Avoid exposure to sunlight or artificial UV rays, as certain topically applied medications may increase your skin’s sensitivity to natural light. Questions? Call (813) 254-1888 to speak with our pain compounding experts today! 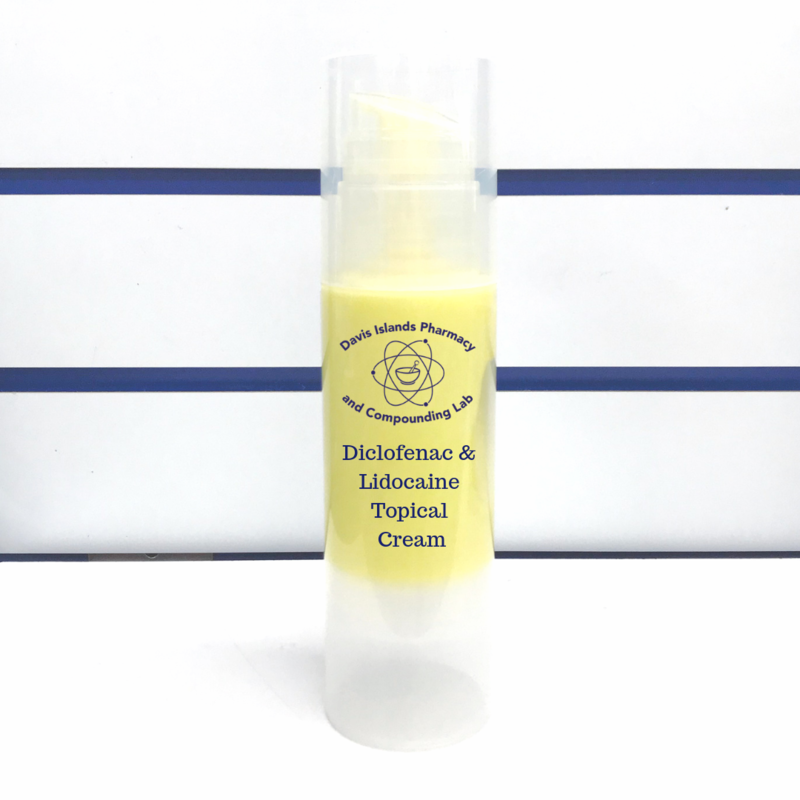 When compounding into a combined formulation, Diclofenac and Lidocaine make for a powerful pain management solution for many patients. 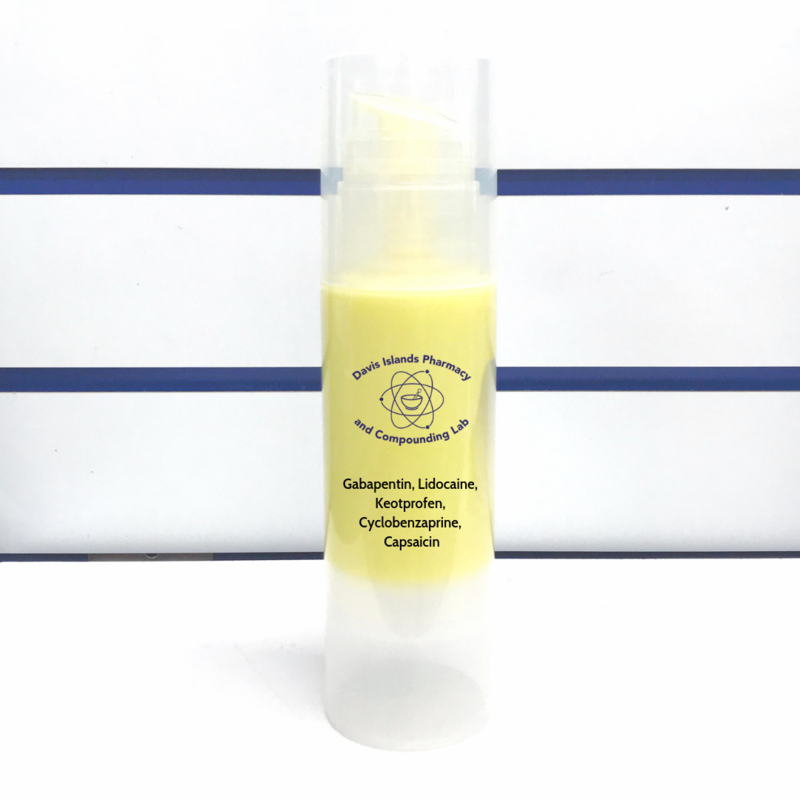 Compounding Gabapentin, Lidocaine, Keotprofen, Cyclobenzaprine, and Capsaicin into a cream provides pain relief without many of the side effects.